The music must describe the beautiful yet merciless sea and ice, and how small and powerless we are against their might. These were composer, conductor and violinist Jaakko Kuusisto’s first thoughts when starting to work on his new Finnish opera, Ice. It is based on Ulla-Lena Lundberg’s bestselling novel. ”I remember my childlike enthusiasm when reading Ice for the first time. 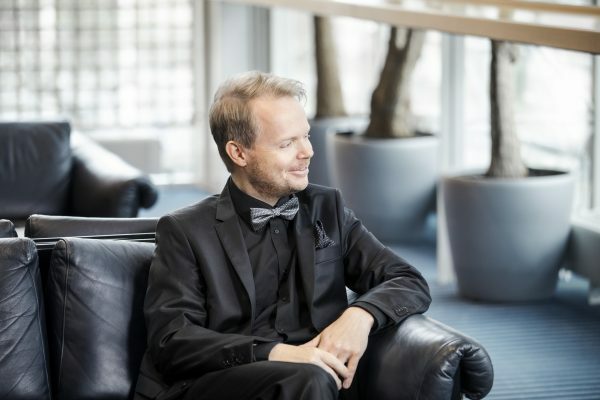 The commission held instant appeal to me, and the score took shape fast”, says composer Jaakko Kuusisto. Having lived in the outer archipelago of Finland, Kuusisto knows how the harsh setting of Ice emphasises the conflict between humankind and nature. ”I remember my childlike enthusiasm when reading Ice for the first time, as it’s such an accurate description of life in the archipelago. The commission held instant appeal to me, and the score took shape fast. Had the story been less inspiring, I wouldn’t have finished the task so quickly,” Kuusisto says. The story of Ice begins with happy expectation and ends in cruel tragedy. The opera is about the life of a priest and his family in the outer archipelago. ”Very little happens on the outside, but there’s intense drama brewing under the surface. That kind of a story is full of possibilities for the composer,” Kuusisto explains. Very little happens on the outside, but there’s intense drama brewing under the surface. That kind of a story is full of possibilities for the composer. Nevertheless, Kuusisto assures that the music of Ice stays true to opera tradition with its arias, choir scenes and intermezzi. Naturally, hymns are in abundance in an opera about a priest. The choir plays a central role. Orchestration is also important, as Kuusisto, a self-confessed ”orchestra freak”, particularly enjoys composing for a large ensemble.